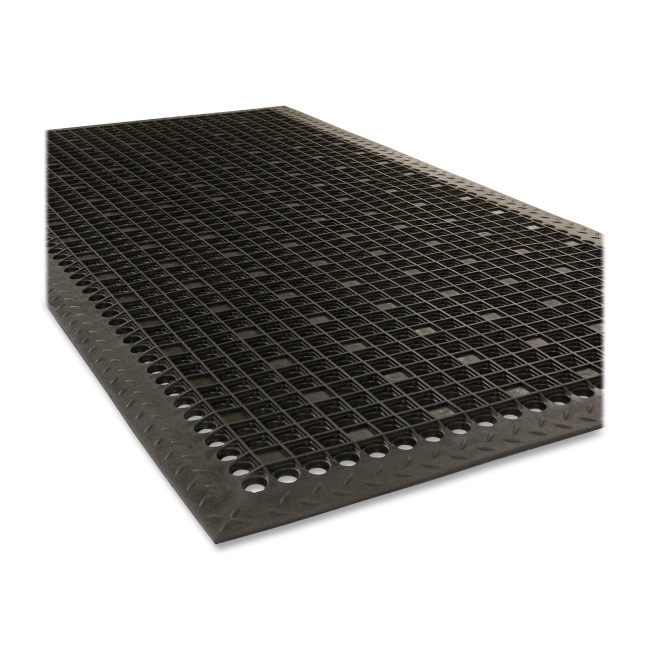 Antimicrobial rubber utility mat is resistant to water, oil and grease. Suction cup backing reduces mat movement and has anti-fatigue quality. Drainage holes allow liquid to pass through, and beveled edges provide additional safety.